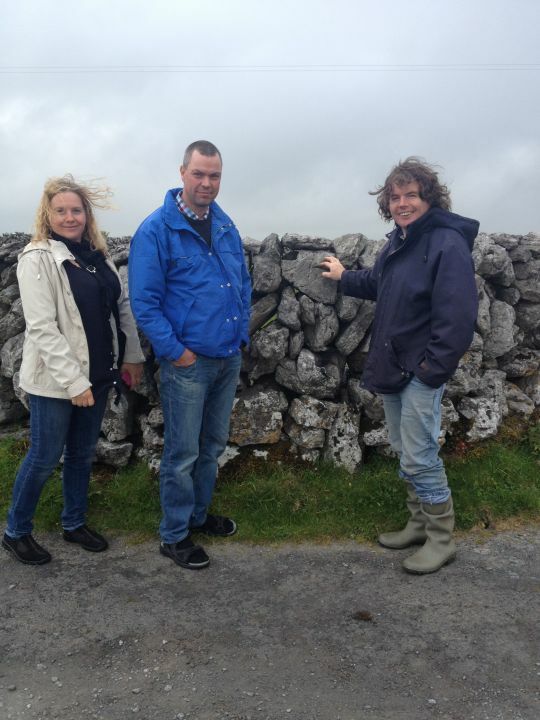 Guided tours of the Burren by Stephen Hegarty, a local, approved Tour Guide. Whether you want to walk, hike or if you travel by car or coach Stephen will accompany you and help you see the real beauty of the Burren. 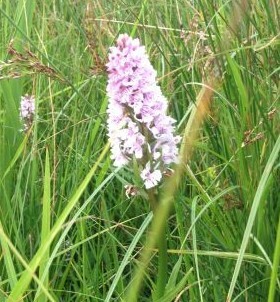 The springtime and the summer in the Burren is the perfect time to take a close look at the various wild flowers. Some beautiful and unique species can be found with the right guide. With a bit of luck, you might even come across a herd of wild goats travelling sure-footed on the rocky Burren hillside. From about 3000 BC, man has lived in the Burren. Evidence of this can be seen from the many Megalithic Tombs and the”Fulachta Fiadh” (outdoor cooking places). The Burren is a paradise for archaeologists with few excavations of an area renowned for its archaeological treasures. But you don’t have to be an archaeologist to enjoy the rich cultural landscape of the Burren! You will get familiar with the early settlements and dwellings of the region. The Burren has a number of well preserved Earthen and Stone Ring Forts that date back to the Iron Age and were still being occupied in the Middle Ages. Ancient farming methods and the use of modern farm technology can be seen in the region. See the results of Man’s unique interaction with the landscape over 6000 years. Familiarize yourself with the unique water system of the region. Disappearing lakes that have to be seen to be believed. They play an important part in the Ecosystem. The Normans who introduced castles to Ireland never actually conquered the Burren. Let us introduce you to the homes of the powerful clans of Clare, “the O’Loughlin’s” and “O’Brien’s”. Their magnificent castles and tower houses are scattered all around the landscape. Admire the beautiful beaches, the rock, the cliffs, sea life, the birds and their habitats. Low tide might offer some interesting treasures to be discovered under rocks and seaweeds. You can read a good guidebook and visit the Burren area on your own. But are you really getting the full story? For example how do farmers farm in the Burren? What is a fulachta fiadh and where exactly are they? When do turloughs appear? What is the an earthen ringfort? 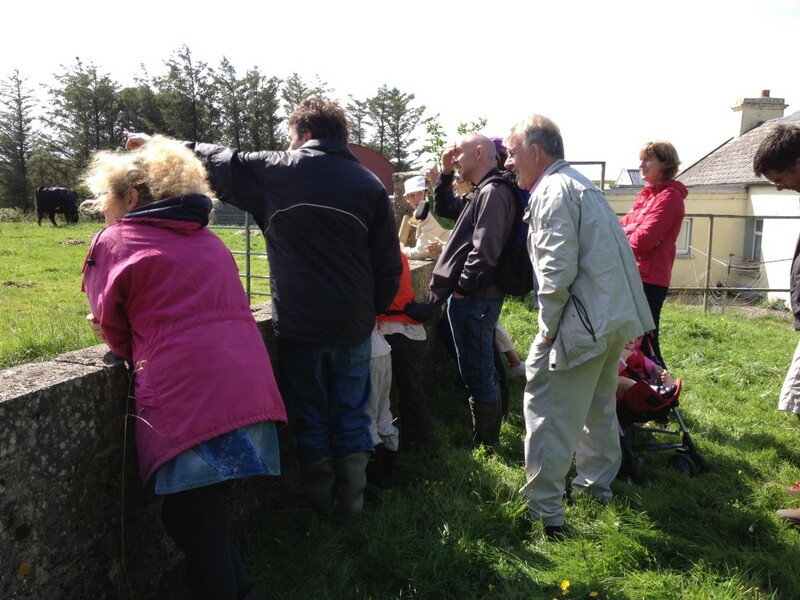 Etc etc…With a local guide you will get an answer to all the questions you might have and you will see the true Burren, the ecology, heritage and the unique social history. If you want to get off the beaten track, you will get a comprehensive and local insight of the area not only a postcard picture. "During our day with Stephen and Eva, we were treated to an insider’s life on the Burren... not only seeing archaeological sites rarely covered in public tours, learning about how agriculturalists wintered their cattle on these hills 6000 years ago, but perhaps even more importantly, by visiting farms, gardens and towns, we saw how life is lived on the Burren today, and how these people plan to preserve, protect and promote the Burren for generations to come. We enjoyed every minute, and came away, refreshed, inspired and educated. Stephen is a fount of knowledge on so many different aspects of Irish life! A day very well spent if you want to see more of the Burren than you can see from a coach window!" "Stephen Hegarty's love for Co. Clare and the Burren is infectious and his tours of the area are filled with knowledge and enthusiasm. His willingness (and eagerness) to create a tour around our interests and schedule made his a perfect choice for an afternoon tour. He and his wife Eva were so friendly and welcoming that as an added bonus, we were invited to visit his home to enjoy a snack featuring products from their eco-friendly and sustainable farm! Stephen and Eva's uniquely personal perspective on a widely visited area makes theirs a very special tour."